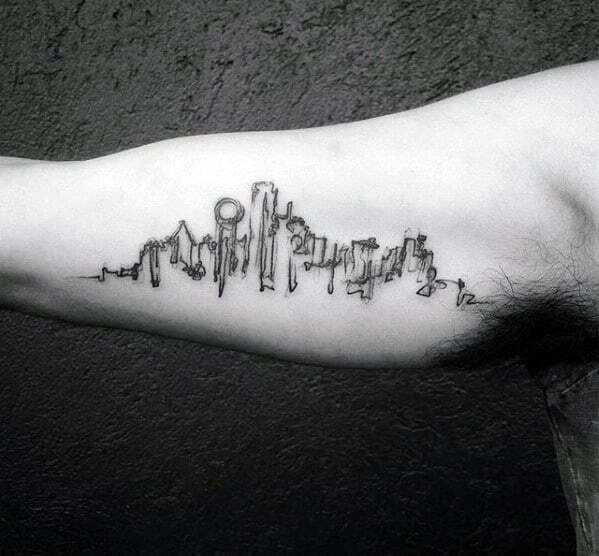 In 2014 the Dallas skyline was voted the best skyline in the world, and for good reason: the contemporary Dallas skyline tells a story of “big banking, big oil, big money, and the occasional big bust,” according to the city’s newspaper. 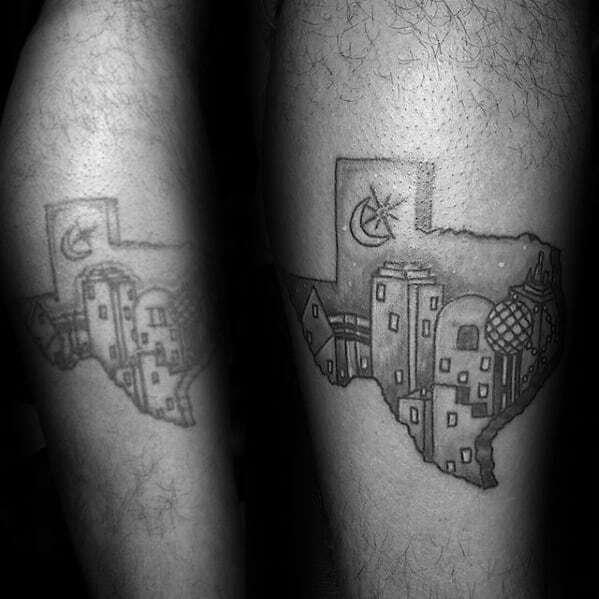 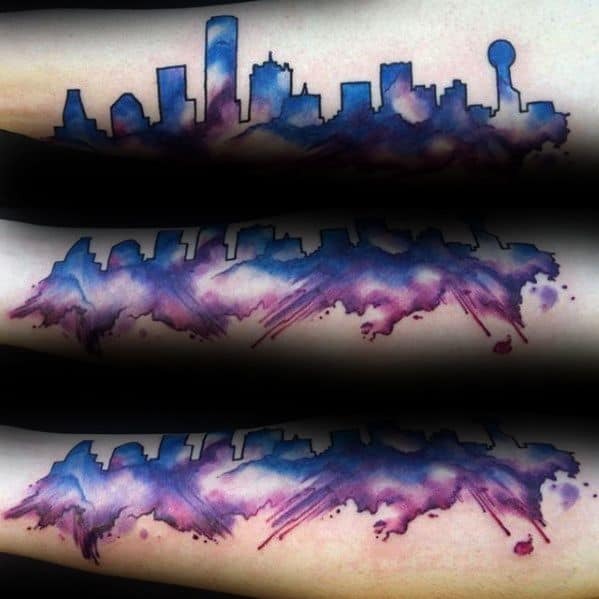 The go-big-or-go-home Texas spirit is the Dallas skyline’s defining nuance, which naturally makes for noteworthy tattoo inspiration. 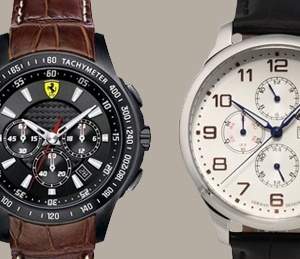 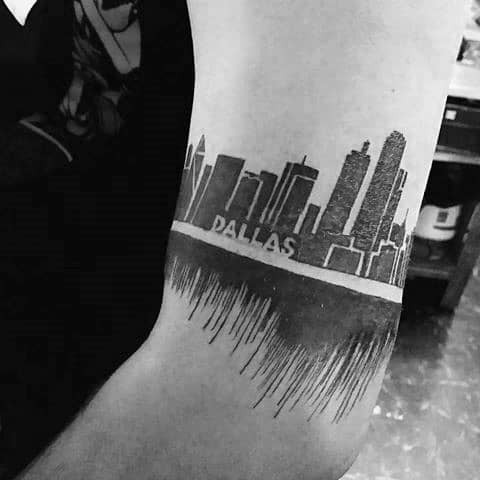 Whether you’re a fan of the hit 80’s series or a devoted Texan, there’s a little bit of the Dallas skyline for every man. 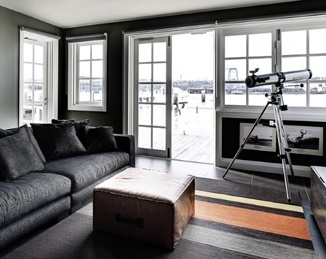 Standing tall and unapologetically proud, the skyline is also effortlessly uniform in its grace; this is no haphazard layout or faulty design, but a seamless example of power at its most genteel. 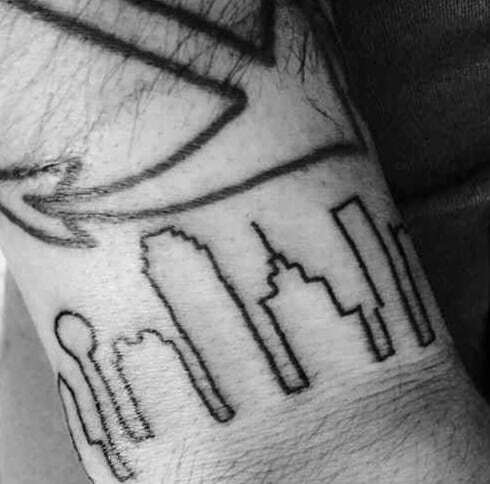 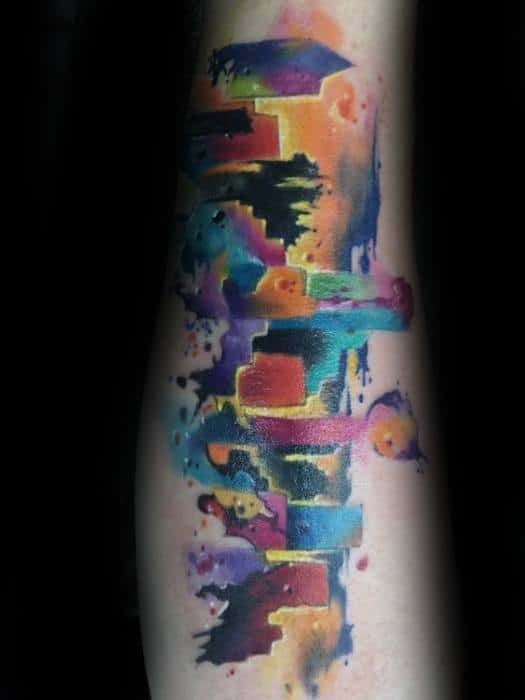 Texans value honesty, hospitality, and no-nonsense wisdom above all else, and the Dallas skyline is a reminder that we all carry those qualities within, so why not show them off in ink? 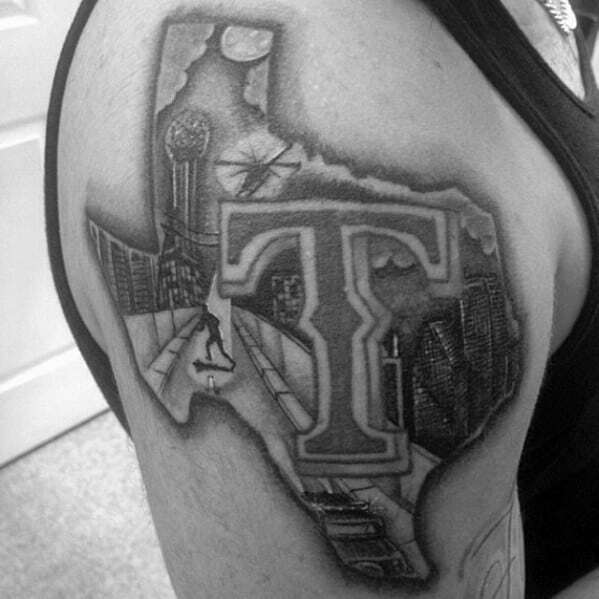 This isn’t a tattoo feat to be undertaken in an innocuous or hidden spot on the body; go big or go home, remember? 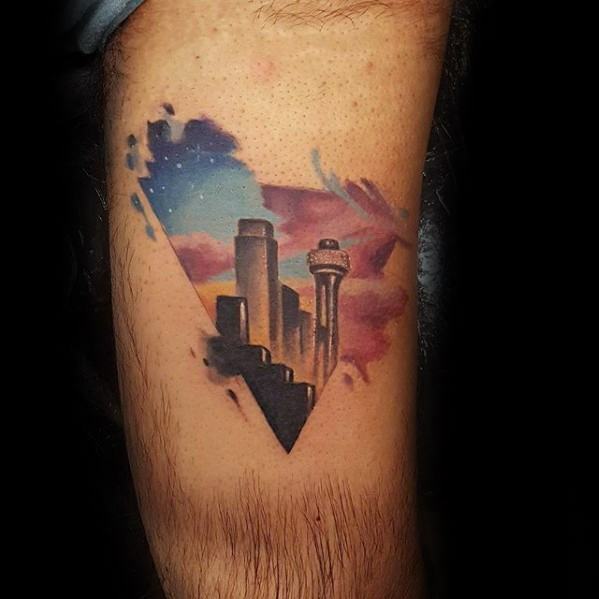 The Dallas skyline was made to run the expanse of a forearm, calf, or shoulder blades, in black nighttime silhouette or rich Texan hues. 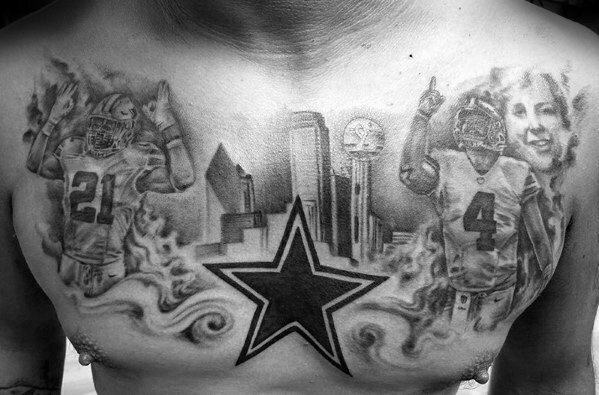 This is a tattoo for the man with big dreams and an even greater heart, who’s willing to lay it all on the line without breaking a sweat. 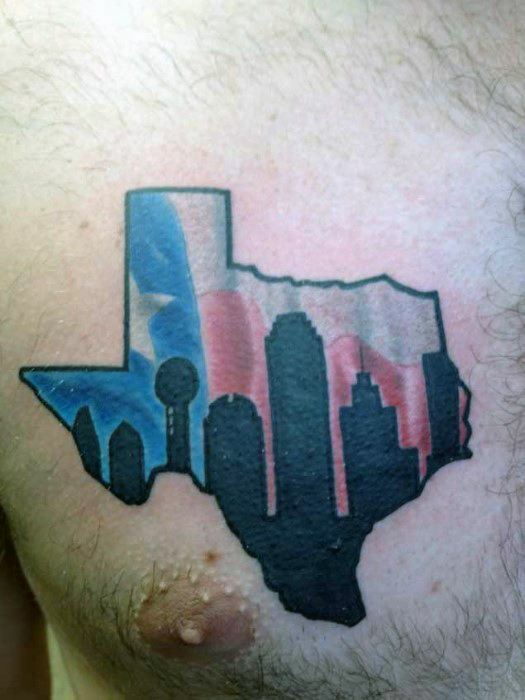 Texas was a nation forged from hard work and few pretenses, and Dallas is a city that’s not afraid to display the fruits of such labor, and a few bright lights besides. 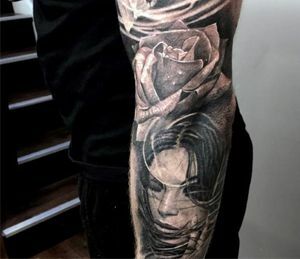 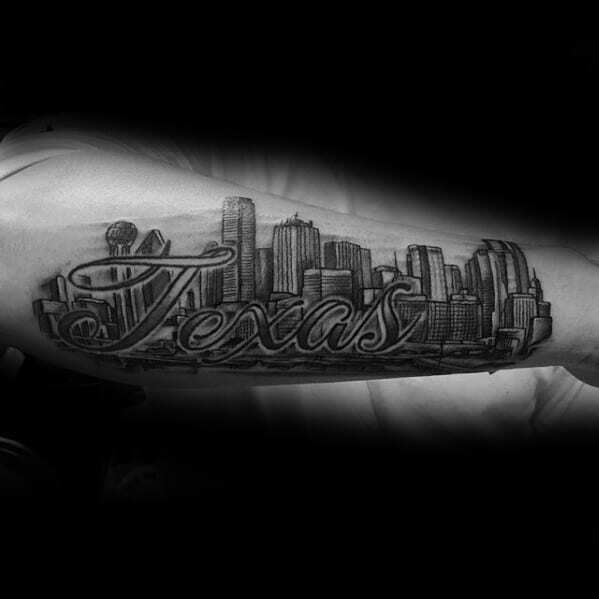 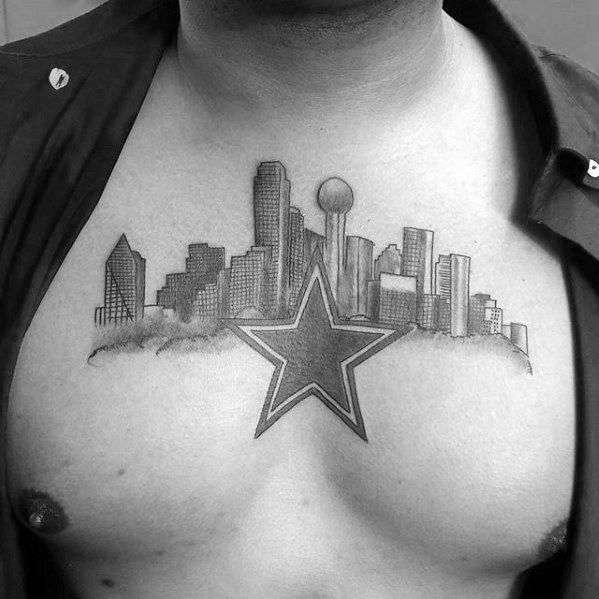 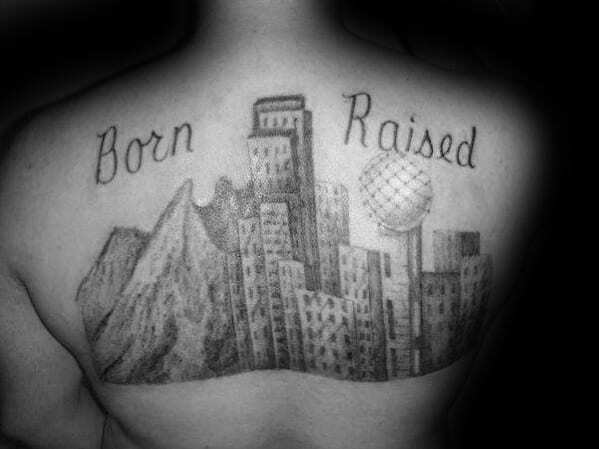 Every man deserves such recognition, and a Dallas skyline tattoo is the perfect place to start.